Rendering of renovated Flowing Wells Library courtesy of Line and Space Architects. Spanish press release available here. (TUCSON, Ariz.) – You’ve been so patient, and now it’s about to pay off! Pima County Public Library is thrilled to announce the reopening of the Sam Lena-South Tucson and Flowing Wells Libraries. 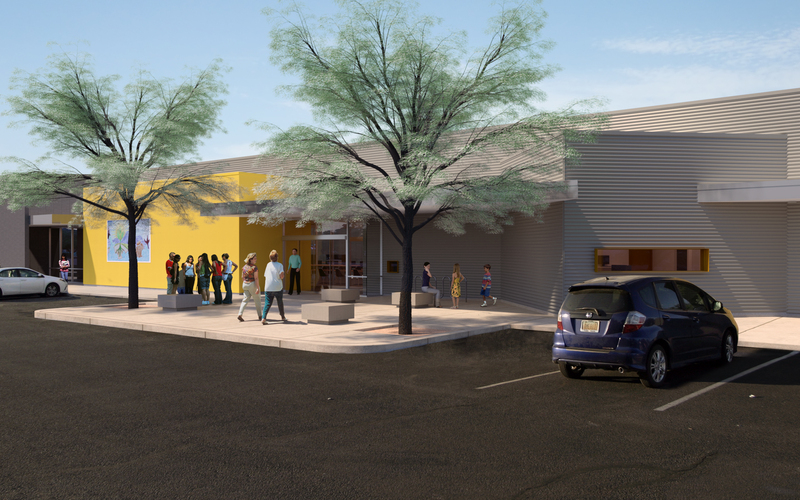 The Sam Lena-South Tucson Library will reopen on Thursday, December 6 at 9 am. The Flowing Wells Library will reopen on Monday, December 10 at 10 am. Customers can expect wonderful changes at both! A complete overhaul of the 4,777 square foot Sam Lena-South Tucson Library, located at 1607 S. Sixth Avenue, has created a more purposeful space for its more than 9,500 monthly visitors. In addition, both libraries will have updated collections and furniture as well as more public use computers. Pima County Public Library plans to celebrate these exciting changes in early 2019 with two grand reopening events! Details will be available after the New Year. For more information, visit the Library’s website or call Infoline at (520) 791-4010.